NetApp ONTAP-v Virtual Storage Array - Cloud Computing in a BOX? Netapp has my attention with it's announcement of a NetApp ONTAP-v Virtual Storage Array (VSA). A truely converged datacenter in a box or at least a small puff of a cloud starting for form. On November 24th Fujitsu announced the global availability of the Primergy BX400 blade server. The Primergy BX400 is a green ‘datacenter in a box’ that delivers the first NetApp virtual storage appliance (or VSA) running Data ONTAP-v.
EMC Corporation In Talks To Buy Isilon Systems, Inc.-Reuters $2 billion? Reuters reported that EMC Corporation is in talks to buy computer storage company Isilon Systems Inc for more than $2 billion, the New York Post reported on Monday. The report quoted an unnamed source as saying the deal would be done this year. HP ReRAM Flash and Disk Replacement? Today, HP announced a joint development agreement with Hynix Semiconductor Inc., to develop a new kind of computer memory – one that will employ memristor technology pioneered by researchers at HP Labs. 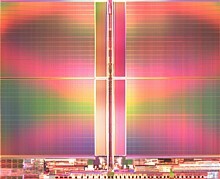 This memory, called ReRAM, holds the potential to surpass Flash in terms of affordability, total capacity, speed, energy efficiency, and endurance. 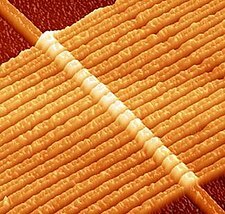 Previous to the prediction of the memristor by Prof. Leon Chua of UC Berkeley in 1971, there were three recognized passive circuit elements: the resistor, capacitor, and inductor. These three passive elements have provided the fundamental building blocks on which all electronic circuits today are based. Shadowed by their competitors, Symantec Puredisk solution is starting to turn heads. Well at least mine... Puredisk is now completely integrated into Netbackup 7, which means that a 3rd party solution or separate install is not required for backup deduplication. Out of the box, Puredisk is available to use at the switch of a license key. Puredisk deduplication can be accomplished at the client, or at the media server and can be switched via netback policy. As a bonus, the puredisk pool can be replicated to a second pool incrementally and the netbackup catalog kept sync automagically. Some amount duplication occurs on the initial backup depending on your data, but Puredisk shines on the next backup deduplicating all unchanged blocks. Nothing like seeing a 99% deduplication rate! Intel to buy Mcafee, why? SSD data compression maybe? Now if Mcafee had some type of pattern matching IP that allowed Intel SSDs to incorporate some type of de-duplication... Now that could be huge and finally allow SSDs to surpass their hard drive counterparts.